Our Classic Baby Beads go natural. The wooden beads are strung together with an elastic cord and can be manipulated into an endless number of configurations. 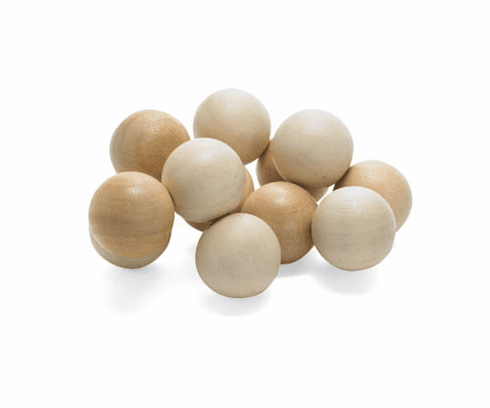 This classic toy is made from replenishable rubberwood with a water based, non-toxic finish. This toy has won the hearts of babies and parents everywhere.